Happy Hour Extra FREE Gift Every NEW customer is entitled to an extra “Collagen Eye Mask” by making an appointment on weekdays from 10am to 3pm. Welcome to AVA Skin Laser where they offer the latest in cosmetic medical treatments using modern technologies coupled with excellent service. With dedicated experts and advanced technology they pulled together a highly qualified team specializing in medical aesthetics. 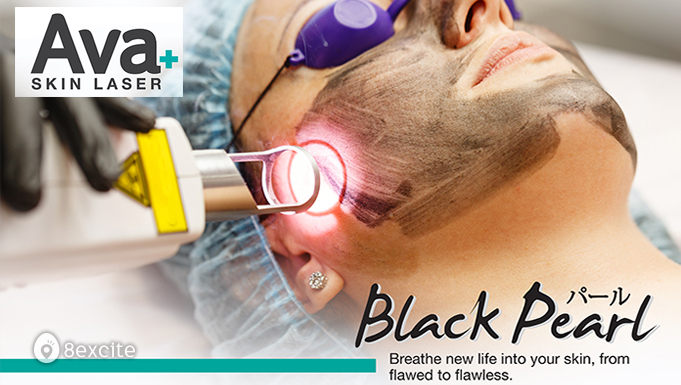 This is why the Black Pearl Laser Treatment is a new non-invasive and pain-free facial rejuvenation procedure that is suitable for all skin types. 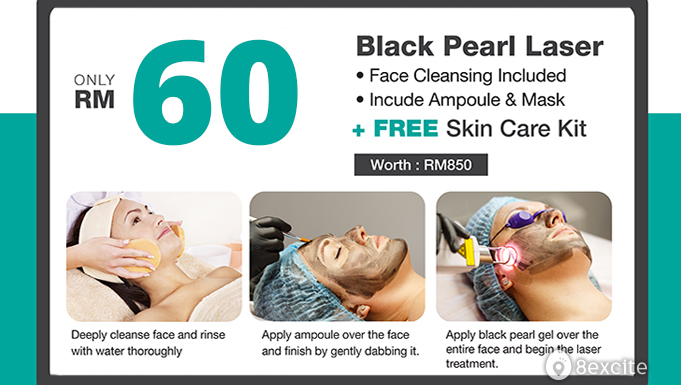 Assisted by the latest focused light technology, black pearl powder is applied on face and penetrates into the skin dermis, stimulating cell regeneration, repair process and promoting production of collagen and elastic fibers. They also strive to keep abreast of the latest technologies and advances in patient care, especially in the field of aesthetic dermatology. They promote the idea of complete well-being among patients and cater to the desire for beautiful, blemish free face in this contemporary world of beauty. Treatments are designed with patient needs and comfort in mind. Make your problems ours. We are convicted to help you achieve the clear, smooth and beautiful skin you desire. 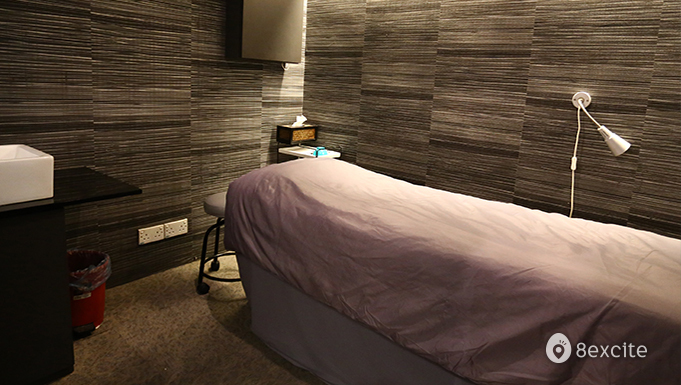 At AVA, we are always available for all your concerns with absolutely value added treatment and services. Reservation must be made at least 3 days in advance for weekdays and 14 days in advance for weekends. 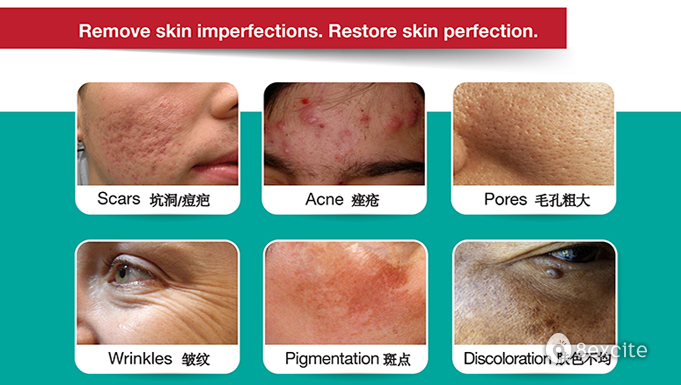 Call +6012-558 6127 for AVA Skin Laser @ Mid Valley Megamall | +6012-916 4718 for AVA Skin Laser @ OUG | +6012-216 7888 for AVA Skin Laser @ IOI Boulevard. Limited to new customers aged 18 and above. Strictly one time redemption at one selected outlet only. This voucher is non-refundable, has no cash value and will not be replaced if lost/stolen. Not valid for other ongoing promotion, discount and offer. Treatment is strictly after consultation only. Gift is redeemable strictly after consultation and treatment only. Skin treatment can take 2 to 3 hours, depending on the treatment purchased. AVA Skin Laser reserves the right to amend the terms & conditions without prior notice and change the gift to other product. While stocks last. Valid for foreigners and expatriates who live Malaysia for more than 12 months. Please present your voucher, gift details, official receipt and MyKad upon arrival to enjoy this promotion. Existing customers can transfer this promotion to another person and the payment is STRICTLY NOT REFUNDABLE for the purchased promotions.